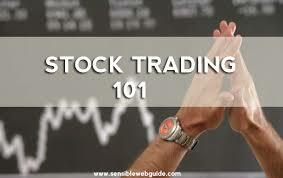 Money Market Tips: STOCK MARKET- PRINCIPLES REGARDING SHARE TRADING. STOCK MARKET- PRINCIPLES REGARDING SHARE TRADING. Hi Friends, Do you know the following in connection with share trading? Research and Development: Sometimes the product may go out of style or become obsolete. It is the management that has to overcome the problem of obsolescence by concentrating on the in-house R & D programme. For example, if Maruti has to survive the competition, it has to keep its R&D active and introduce consumer-oriented technological changes in the automobile sector. This is often carried out by introducing sleekness, seating comfort, and brake efficiency in its automobiles. New products have to be produced to replace the old ones. Shortsighted cutting of the R&D budget would reduce the operational efficiency of any firm. Fixed Cost: The cost component also generates internal risks, if fixed costs are high in the total cost . During a recession or low demand for a product, the company cannot reduce the fixed costs. At the same time , in a boom period, it cannot change the fixed factors at a short notice. Thus a high fixed cost component can be a burden to the firm. The fixed cost component must always be kept at as reasonable level, so it does not affect the profitability of a company. P/E Ratio: Investors prefer to use the price-earnings (P/E) ratio to estimate the value of stocks rather than adopting the discounting models. Every financial magazine and newspapers publishes, at regular intervals, the price earnings per share. The P/E ratio models have the following three distinct advantages over the discounting models. (a) The P/E ratio indicates price per rupee of share earnings. This can help investors compare the prices of stocks, which have different earnings per share. (b) P/E ratios are helpful in analyzing the stocks of the companies that do not pay dividend but have earnings. It should not be noted that when there is a loss, the P/E ratio analysis is difficult to use. (c) The valuables used in P/E ratio models are easier to estimate than the variables in the discounting models. With the P/E ratio models the investor can only find the relative positions of the different stocks. They do not indicate what price is appropriate for a particular stock. For example, from the P/E ratio , the analyst can state that P/E ratio of TATA Motors at 58.07 (02-08-2012) is higher than Eicher Motors(42.53) and Maruti Suzuki (19.88).